Feb. 14th, 2014, Joey’s last Valentine’s Day. It was the second day he was back to school after the second surgery. Chemo failed and hair started to grow back. Yet he smiled big. Being back to school brought him so much joy. Valentine’s day, another vulnerable day. Heart, heart, heart. 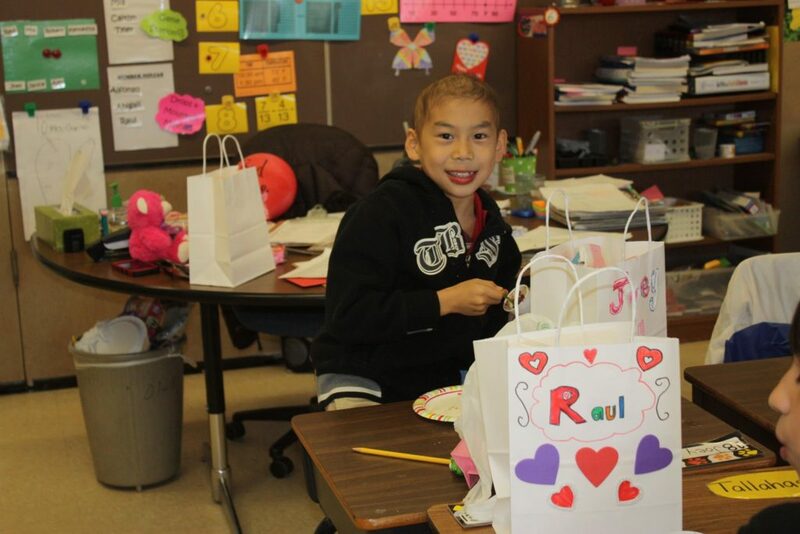 The heart-shaped candies, classroom party, the Valentines we make…hearts everywhere. When a child is born, a mother’s heart is no longer her own. When the child is happy, her heart smiles. When the child is sad, her heart worries. When the child is ill, her heart aches. No matter what, a mother’s heart remains strong, for the child. When the child dies, a mother’s heart dies. Time can not ease the sorrow and the pain, nor can it force the heart to heal. The heart dies. Love never dies. Love is eternal. Death has separated us only in body but not in heart. May love revive the heart, so it could be full of gratitude and the grace of God. So with a broken heart, I will continue to speak up, even I can not predict how long it will take to heal. With a broken heart, I will continue to run. I may limp. I may wobble. I may wonder around. But along the way, I will cling to the hope that God just may redeem this heartbreak and give me glimpses into who he is.